Why Use THE RELOCATION CENTER? At The Relocation Center, we understand the needs and adjustments associated with a major move. Therefore, we offer a vast array of ideas and services that will allow you or your company the flexibility to seamlessly integrate our services while maintaining a high level of performance. Over 25 years ago, the founders of the Relocation Center had a vision of a different kind of relocation company. This vision included a level of professionalism, technology, independence, and utilization of a “TRUE” single point of contact not seen before in the industry. One single Relocation Coordinator will handle all aspects of the relocation from temporary housing to move management to home buyout and more. We are not owned by or affiliated with a real estate company, van line or other conglomerate. Our independence allows us to select the best service providers at the best price. 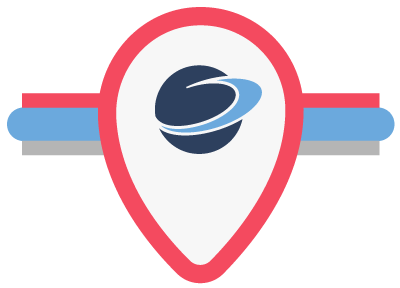 We have invested in state-of-the-art relocation and expense tracking software capable of providing real time solutions to both your HR personnel and your relocating transferees. Our level of integrity and efficiency is evident in all aspects of the relocation process from our website to our communication systems to our high-touch service platform.
" The Relocation Center's service for our Ford Motor Company union workers has always been great. Their staff has always contacted my clients within 24 hours and given them the best full and self-service rates available. When I talk to my transferees, they always give me positive feedback on The Relocation Center. " " The Relocation Center has handled my last two moves, and they will certainly handle my next one. Both of my moves came in under budget, and the Relocation Center becoming my advocate whenever the shippers’ performance fell below their high standards. Moving is stressful, but the Relocation Center made it as easy as possible. I would never move any other way. " " The Relocation Centers professional, technically competent and customer-focused staff takes the worry and trauma out of the entire relocation process. TRC assisted us in re-writing our relocation policies and proved to be experts in best practices and policy development, including adherence to human resources and employment policies. "Southern hospitality" is known worldwide and TRC captures every aspect of it - showing graciousness, kindness, and warmth to others. The attention to detail given to our employees cannot be matched. Whether relocating a single employee within Louisiana or a family of five and a dog from overseas, we receive first-class service. TRC is efficient, trustworthy and a good steward of my company's money. " " From our initial contact with (The Relocation Center) unto the completion of our move, your most gracious and truly professional thoroughness in guiding, explaining, and assisting us at every step proved to be the most helpful and ultimately the most economical in relocation service. We wholeheartedly recommend the services of The Relocation Center, especially to AARP Members like us." " Albemarle Corporation has worked with The Relocation Center for a number of years for its domestic relocation needs. We have always been very pleased with the level of service and professionalism provided by the staff. Albemarle has new employees relocating from all parts of the country, as well as transferring employees relocating to specific plant locations. The staff at The Relocation Center go out of their way to provide immediate communication on relocation information, provide clear information to employees about the relocation process, and effectively manage the process from beginning to end. They are always looking for new ways to serve their clients. When there is an issue, they are always proactive to rectify the problem. I would recommend The Relocation Center to any company looking to implement or update their domestic relocation management program. " Major tax changes took place effective this year and relocation was significantly impacted. These changes are at the forefront of driving current relocation trends—and this has been verified through recent feedback and policy changes from the Relocation Center’s clients. The Relocation Center has undergone a bit of a facelift. Check out our new look!